Thousands of homes are re-roofed each year with ordinary asphalt shingles. Conventional roofing manufacturers and installation contractors love it when customers use the industry standard again and again. Why? Because they have job security, those asphalt shingles do not last nearly as long as they say, especially in extreme heat, extreme cold or the windy coastal regions. “Okay”, you say, “I only want to do this thing once and I want it to last”. With that in mind let’s discuss the benefits of metal roofing. Metal roofs are far superior to conventional roofing in many ways. Maybe one of the most important is metal roofs do not need replaced nearly as often. The fact is your new metal roof may be the last roof that you purchase for your home. The life expectancy of metal roofs can far exceed fifty years. How old are you going to be in fifty years? Your metal roof will not show its age. Another unexpected aspect of metal roofing is how much it weighs. Metal roofing weighs much less then most conventional roofing products. So much less in fact you can easily install a new metal roof over your old asphalt shingles. 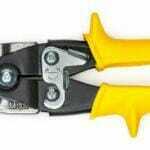 This saves you the costly and time consuming task of tearing off your old roofing. It also saves space in your local landfill. Metal roofs weigh from 50-150 pounds per 100 square feet. Conventional roofing material can weigh in the neighborhood of 750 pounds per square foot. Unexpected but true, metal roofs weigh much less. So let’s say you live in a rural forested area, you have a really dry year, forest fires start burning in your neck of the woods, and many of your neighbors are panicking. Not you, you installed that new metal roof in the spring and have one less thing to worry about. Metal roofs are not combustible, that is why they are ranked “Class A”. Metal roofing is the most fire resistant roofing your money can buy. Peace of mind during wildfire season can mean a lot also. “Class A fire status”, another plus for metal roofing. 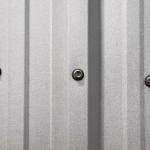 Metal roofing can save you money in another way, your utility bills. 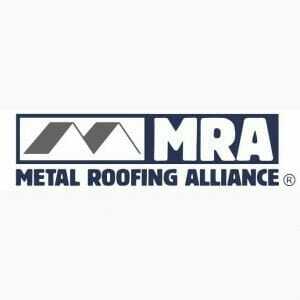 Cool metal roofing is a term that popped up a few years ago. Someone got smart and figured out that lighter colored metal roofing actually reflects direct sunlight and causes less heat to enter your home. Well, since then, many studies have been done and metal roofing has been given”IR” ratings. “IR” stands for “Initial Solar Reflectivity”. Guess what? 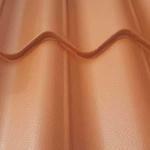 The lighter colored metal roofing has the best rating. Many of the lighter colors are “Energy Star Approved”. What it all boils down to is, metal roofing can save you money on your utility bills, save energy and help you protect our environment. 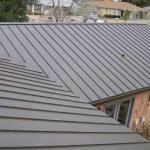 Metal roofing can also qualifies for tax credits, the government will actually pay you for your new roof.